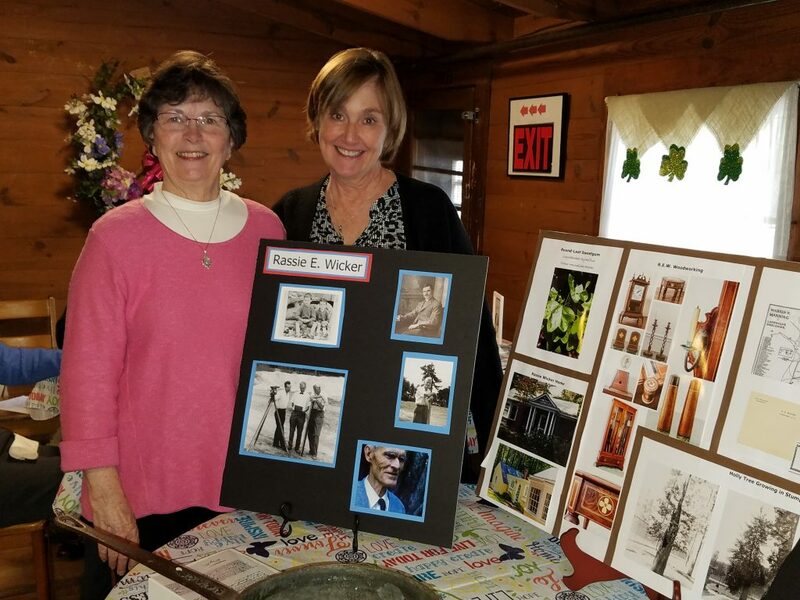 The March 21 Lunch n’ Learn program at the Sandhills Woman’s Exchange was presented by Jill Wicker Gooding, left, and Lisa Hammond. Both women’s lives are tied directly to the past through the builder of Pinehurst, Rassie E. Wicker. Telling stories of her great grandfather, Jill explained his arrival in 1902 to help build the Carolina Hotel, then soon became the full time carpenter for Mr. Tufts. He built many of the historical homes in Pinehurst and Lisa and her husband own Rassie Wicker’s 1923 historical home on Dundee Road. A full house enjoyed the stories, lunch and dessert by Chef Katrina at the cabin.